When a scene like this one catches my eye, I am compelled to snap a shot. 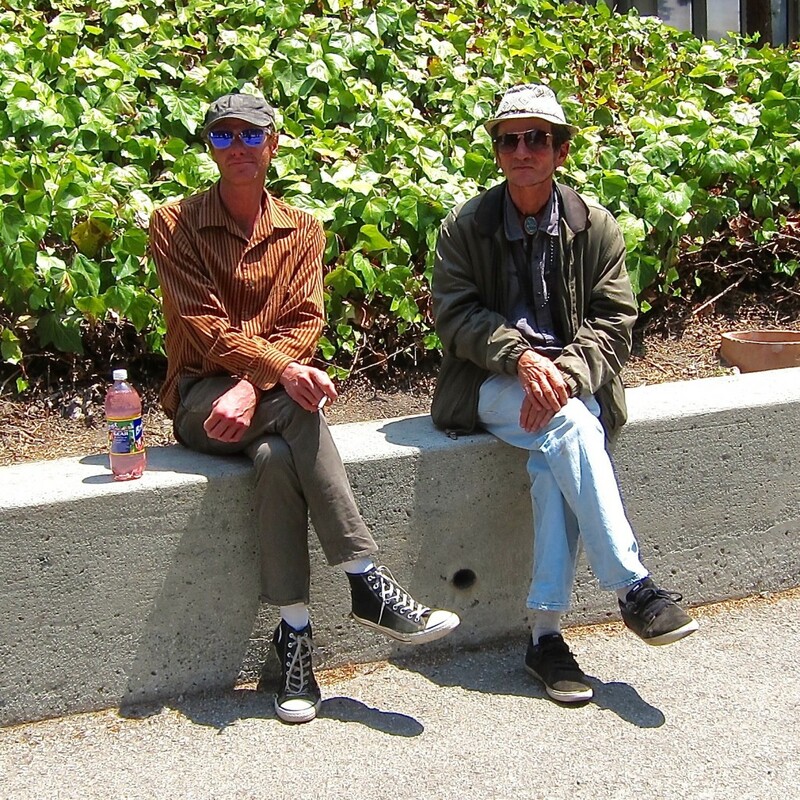 These two were seated behind the county government building in Santa Cruz, California. They were very obliging – carrying on as if I weren’t pointing a camera in their direction.